Sandra also encouraged people to take small steps towards flipping their classes. Just add some online resources, you don’t need to change the face-to-face classes at first – work towards it. She showed a great slide of herself at home recording a video using her smartphone balanced on a tower of containers! During question time, Adam said that peer observation was a useful way for academics to develop their teaching. And research agrees (including my own research *cough, cough*). Adam said that sitting in the back row was a good way to see a class from a student perspective. @AmaniBell they *always* say this, then hardly ever access the slides or recordings. @contacthelen @AmaniBell http://t.co/qSeF9U90fh A very useful resource for the conference – we should have tweeted it before now! 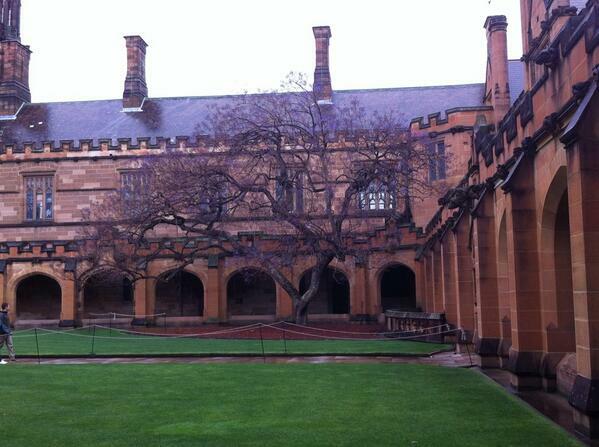 It’s fitting to close with a tweet from Tai, because she did such a fantastic job organising the colloquium. Thanks to Tai and all who presented and participated – it was a great two days. 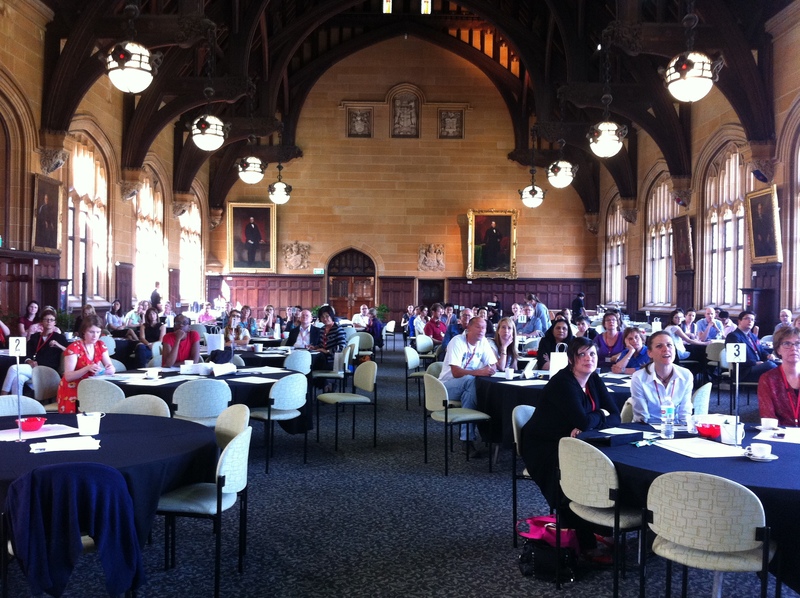 Yesterday, Wednesday 2nd October, was the first day of the University of Sydney’s annual Teaching Colloquium. This year the theme is ‘Blended Learning for Engaged Enquiry’ . Here are a few of my impressions. This is turning into a bit of a Storify, so I’ll stop there! But perhaps this gives a small taste of the conversations that were going on, both in the room and on the Twitter back channel. To conclude day 1, we heard from the Vice Chancellor (who had something perplexing to say about distancing assessment from teaching, but more on that another time) and then we celebrated our award winning teachers. Those who stayed for the team trivia had lots of fun, with the trophy going the Engineering and IT team ‘The Turing Testers’. Off to Day 2 now, more later.